With the new AppleTV coming out later this month there’s been quite a bit of discussion about if it would be running on the new iOS system, or something else. The good news is we now know – configuration files in the iOS 4.2 beta have confirmed that the AppleTV will be running iOS. 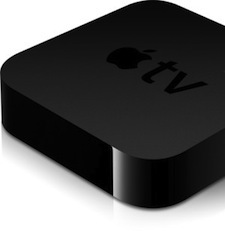 This means that the AppleTV might end up being more attractive to advanced users after all. Since the AppleTV will be running iOS, this makes it a possible platform for jailbreaking. Assuming that it is possible to jailbreak the device, that could allow enough customization to overcome the shortcomings in the new device. TUAW was the first to report the presence of a device ID in the configuration files named “AppleTV2,1”. This provided the proof of Apple’s intent to run the AppleTV on iOS.